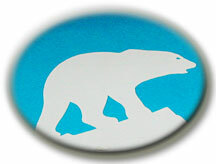 Here are some photos of our Nahanni adventure in Canada's Northwest Territories. These are in approximate chronological order, starting with our arrival at the 60th parallel, and ending with our last evening camped along the Liard River before driving down into British Columbia. 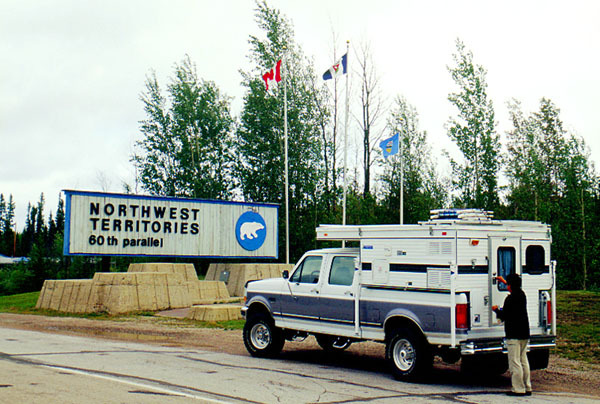 At the 60th parallel - This marks the boundary between the Canadian provinces and the Northwest Territories. We are entering from Alberta, having visited Calgary, Edmonton, Banff, and Jasper, among other places, on our way north. 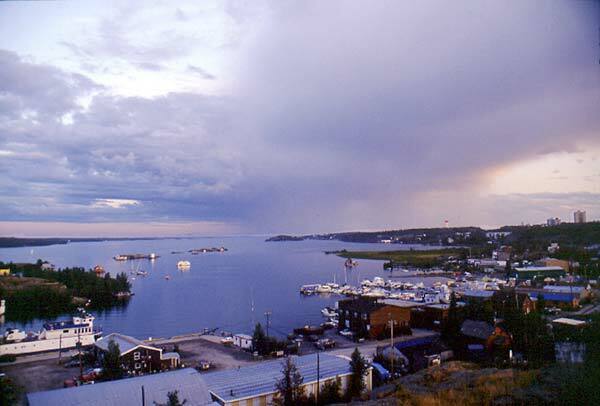 Harbor at Yellowknife 1 - Yellowknife is the capital of the Northwest Territories, situated on the shores of the Great Slave Lake, a huge inland freshwater sea. It is a remarkable place, and even more so when you consider where it is. About 18,000 tough people live here. 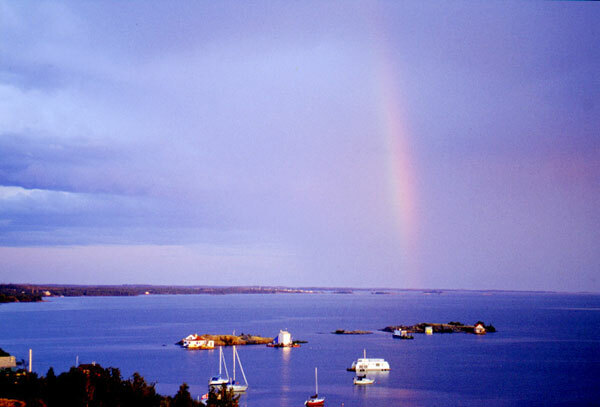 Harbor at Yellowknife 2 - We were here the first week of August, 2003. The harbor was bustling with boats and float planes. Both of these shots were taken around 11 pm, and it didn't really get dark till about am. It got light again about 3 or 4 hours later. 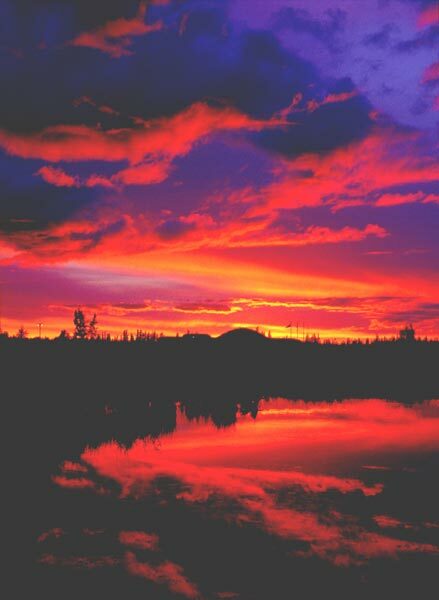 Yellowknife sunset - Sunsets like this are common. 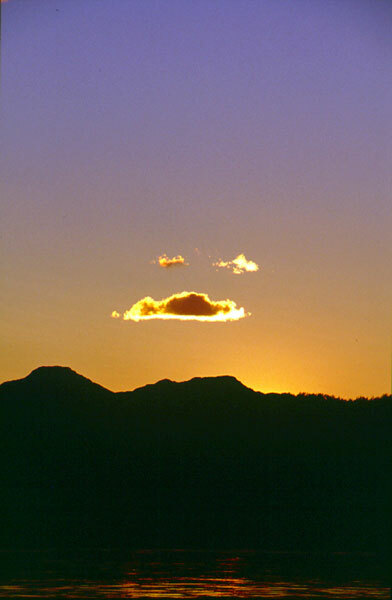 Big clouds and clean air make this a natural phenomenon, with the color not enhanced by air pollution. Loading the Twin Otter - The DeHavilland Twin Otter (DHC-6) is a remarkable airplane. It is one of the most famous and capable bush planes in the world. Here, we are loading up for the flight upriver to the put-in for our Nahanni canoe trip. This is the Mackenzie River at Ft. Simpson, Northwest Territories. Inside the Twin Otter - With 8 people (5 adventurers, 1 guide, 2 crew), 3 canoes, and food and gear for 3 weeks, it was a tad cramped inside the Twin Otter. Instead of snacks, the co-pilot passed out ear plugs. 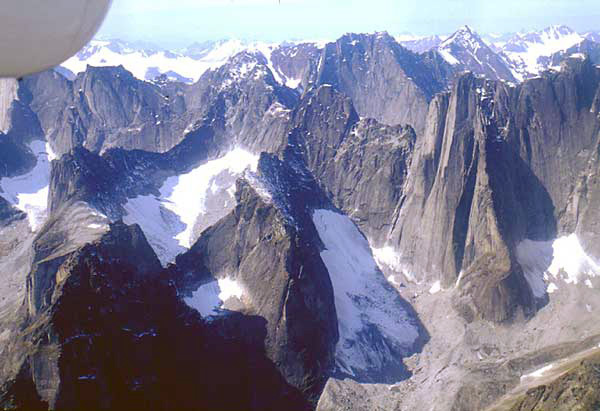 View from the air - The flight crossed miles of boreal forest, then climbed over vast mountain ranges. Many peaks appeared barren and dry, as in this shot. At this point, we were really getting the idea of "remote." Flying through the Cirque - At the request of our guide, the pilot flew us into the Cirque of the Unclimbables. We're talking E-ticket ride here; it was a rush. Those Canadian fly boys really like to give folks their money's worth. A few days later, we took a side backpacking trip to this area. Unloading at Haywire Lake - After touring the Cirque, the plane dove through a canyon and splashed down on Haywire Lake. The pilot taxied to shore, shut down only the left engine, and stayed at the controls. Our group and the other crewman quickly unloaded. We hopped ashore and he secured the craft for the return flight. 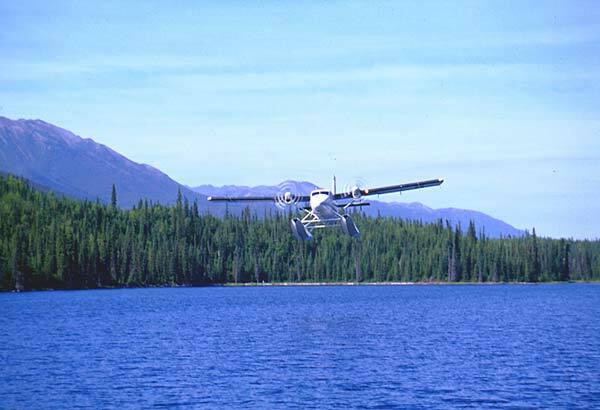 The plane taxied to one side of the lake, spun around to face the watery runway, and took off for Ft. Simpson. Buzzing Haywire Lake - After taking off, our pilot circled around and came back over the lake straight at us. Just as he passed, he put the plane into a steep climb, wiggled the wings, and disappeared over a ridge. One last thrill from the Canadian bush pilot, but then we were really committed to paddling 256 miles down the South Nahanni, or become another set of grim statistics. On the South Nahanni - It was a short paddle down a creek (and over a couple of beaver dams) to the river. It is wide and relatively placid in these upper reaches, a situation that was to change at Virginia Falls. 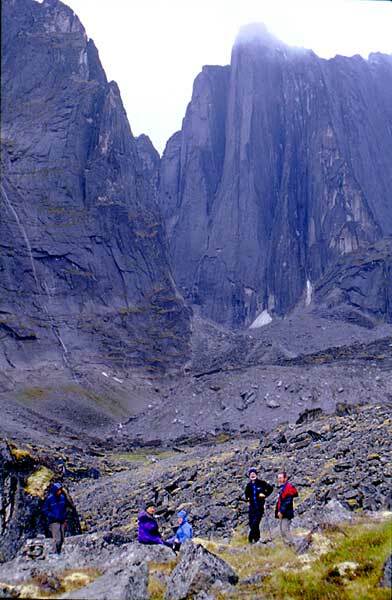 Bushwhacking, Canadian style - We stashed our canoes and cached our food at the South Nahanni before heading out for the Cirque of the Unclimbables. 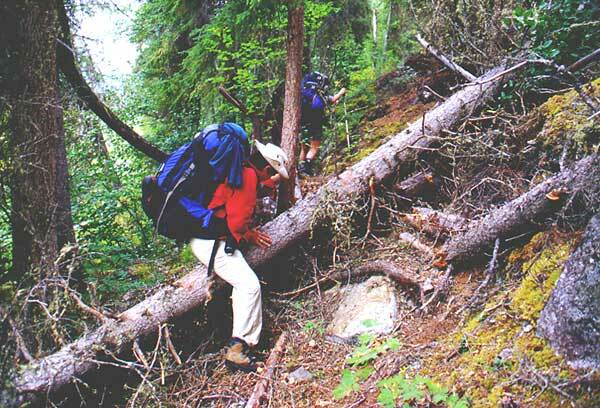 Our guide called it a hike, but we soon discovered that hike to the Canadians means bushwhacking to us. This was one tough trip. Crossing Glacier Lake - Several miles of bushwhacking later, we came to Glacier Lake. We needed to get to the other side, so it was either bushwhack about another 6 miles or get 8 people and backpacks in 2 leaky canoes that live permanently at the lake for just such a purpose. We opted for the canoes. This was another thrilling ride, especially since we didn't complete the crossing until after dark (about 1 am). Talus slope scramble - From Glacier Lake, more bushwhacking took us to a 2000' talus slope, which had to be climbed to reach the Cirque. This was exhausting, and not altogether safe, yet we all made it, again after dark. The Cirque at last - We camped at a place called Fairy Meadows (see tiny tents at bottom of wall). This is a humbling place; the spires are huge and you are small. A low ceiling and almost constant rain gave it a foreboding feeling, like Orcs were lurking about just waiting to pounce. Exploring the Cirque - We spent a couple of days here. In spite of the rain, we hiked around checking out the place. 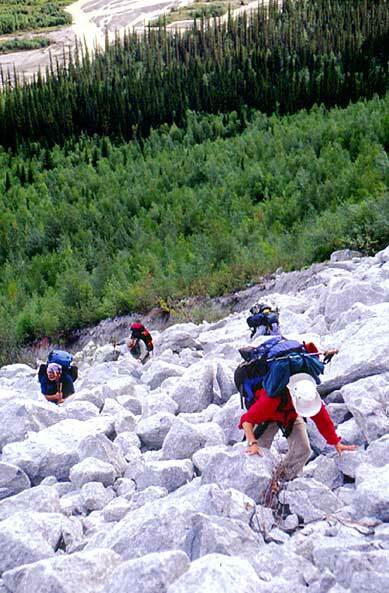 We met three groups of climbers and discovered that they don't get there the way we did. Sat phone dispatched helicopters, anyone? Loo with a view - Yes, this is just what it looks like. I've made use of many an outhouse in my day, but none with a view even close to the panorama from this throne. Rabbitkettle Hotsprings - Until just before Rabbitkettle, we had been paddling outside Nahanni National Park. Rabbitkettle Hotsprings has formed some of the largest tufa mounds in the world. Because of their unique nature, you can only visit them accompanied by a warden (Canadian for park ranger), which we did. Parks Canada has figured out a way to let visitors enjoy this feature without damaging it - you walk up barefooted, with warm water trickling down between your toes. 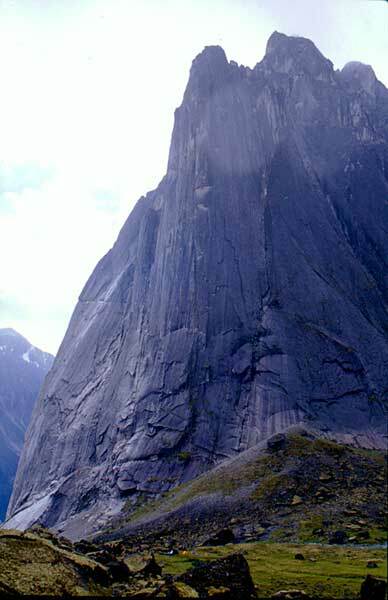 Virginia Falls - This grand waterfall is the centerpiece of Nahanni National Park. You only get to run this baby once, so we portaged our canoes and gear around. The park has built boardwalks and a decent trail for the purpose, but it still took 3 trips by each of us to get everything down. The Dene (local First Nation people) used to do it without such amenities. Third Canyon 1 - Below Virginia Falls, the river's character changes dramatically. 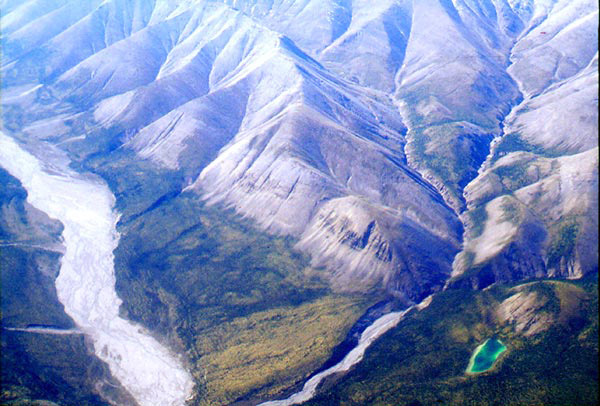 It plunges through First, Second, Third, and Fourth Canyons before settling down and merging with the Liard River at the Dene settlement of Nahanni Butte. Numerous rapids challenged our passage through the canyons, but we managed to navigate them without dumping. Third Canyon 2 - Between rapids, the river was swift but smooth, allowing photography. Unlike rafting, it's really tough to take pictures while negotiating rapids in a canoe. It takes both bow and stern paddlers working together to steer. Second Canyon - Stan in the bow and his paddle partner Ron took it easy on a quiet stretch of water. The spray cover is still on the canoe because there were more rapids ahead. 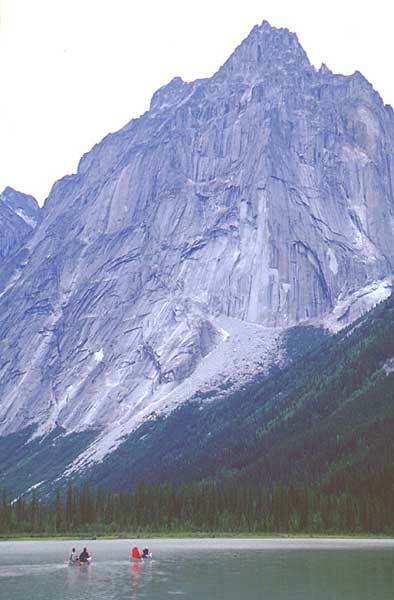 Water taxi - We were wiped upon reaching the Dene settlement of Nahanni Butte. Our choice was to continue paddling almost another day to reach the takeout at Blackstone Landing, or pay the toll for one of the locals to ferry us and our gear down river. We paid. 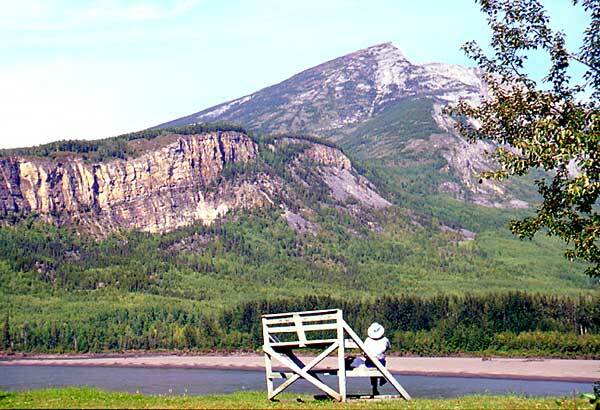 Nahanni Butte - Able to relax at last, one of our group quietly contemplates Nahanni Butte, across the river from the settlement. Liard River sunset - After getting back to Ft. Simpson, we said our goodbyes and went our separate ways. Jewel and I spent our last night in the Northwest Territories camped in a park on the Liard River. This beautiful sunset was a fitting climax to our wild Nahanni adventure.